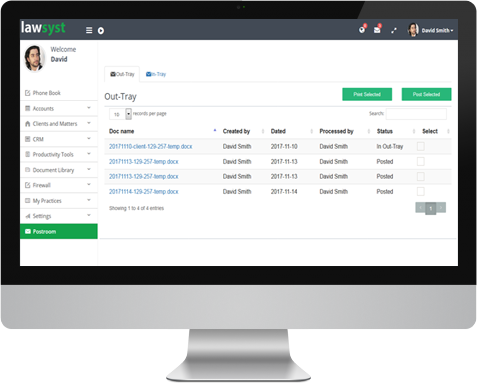 Lawsyst is not an ordinary case management system, it is a platform that offers a truly integrated Unified Communication experience with real-time data from the telephony infrastructure. 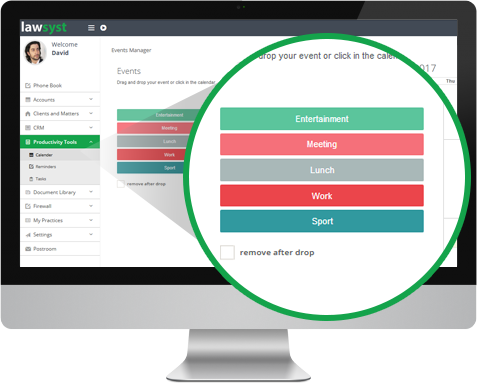 Lawsyst has a built-in CRM and leads management system with useful features rather than gimmicks that most users get confused with. Simplicity with power is the essence of lawsyst. 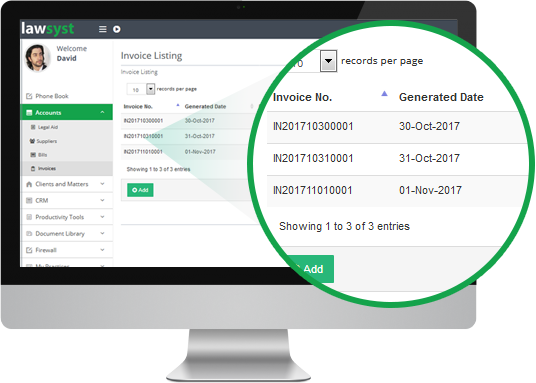 With built-in billing and accounts module that is tightly integrated with clients, suppliers, bank accounts and local authority databases; you will save time by streamlining your bookkeeping process. Lead wastage is a problem that many firms face. 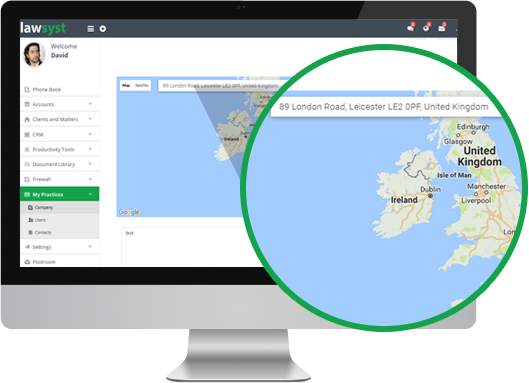 With lawsyst, you can manage leads and improve your conversion rate. You can also measure sale team performance in real-time. Offer client portal to see matter status, pay invoices and upload / download documents. 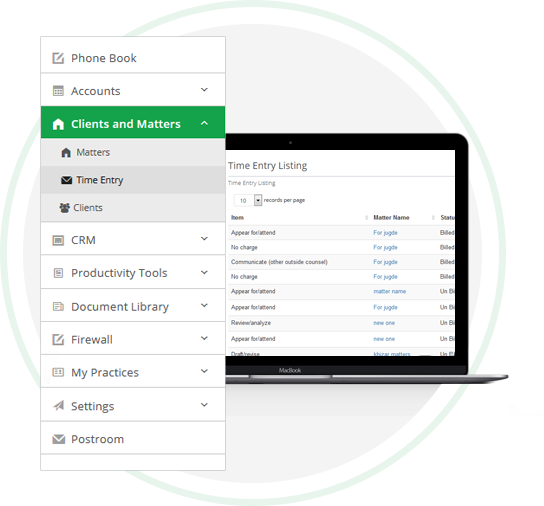 Lawsyst offers various productivity tools that are integrated with clients and cases. As a law firm, you do not need to invest in additional tools apart from standard word processing and email clients. Built-in calendar that is shareable with colleagues and assistants. Outlook email is integrated. Emails sent to clients are linked with client communication history. Synchronize timesheets with user time entries on tasks. Work and collaborate on cases. Add notes that are available in real-time to others working on the same matter. Work from home, office or abroad. Use laptop or mobile devices to access data. Lawsyst is built on a distributed architecture which can be scaled to whatever extent that a business may demand. It can be deployed onsite or in the cloud and offers flexibility to co-exist. Lawsyst exceeds performance and user friendliness benchmarks by leaps and bounds from its competitors. Therefore you can tick it as a preferred case management system for your legal practice. •	You are not bound to a location. Need to move offices or need additional space? Just rent some desks; the rest is already there in the cloud. 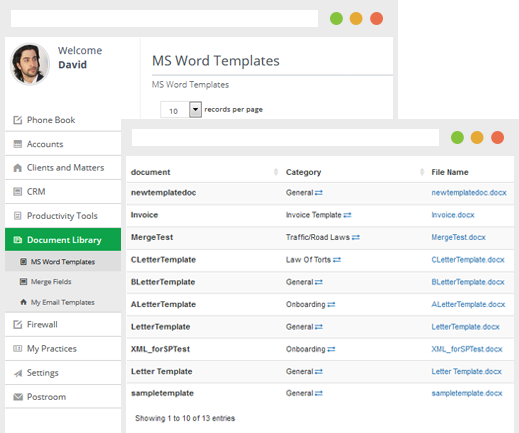 Lawsyst is a browser based system that runs on platforms with a browser. These include Windows, Mac, Linux, and Android etc.